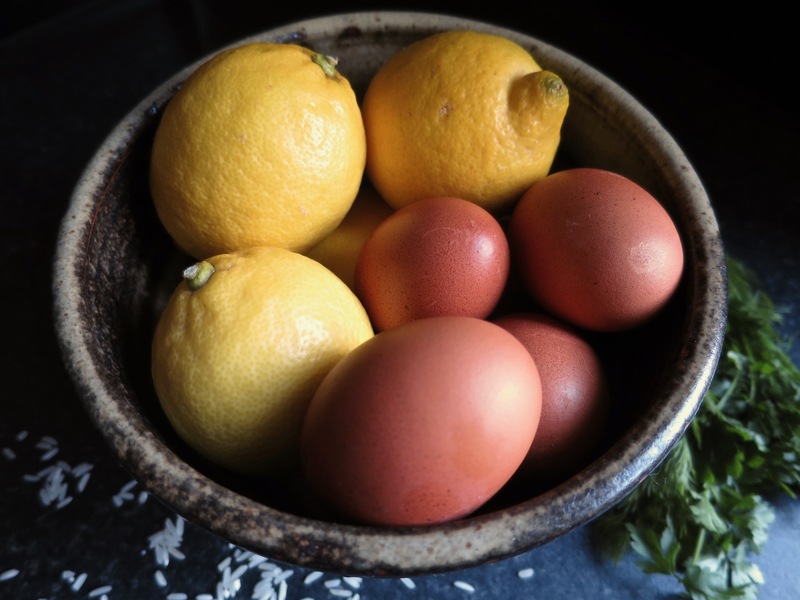 This emulsion of eggs and lemon juice is very common in Greek cuisine. It is the sauce for lahanodolmádes, youvarlákia, fish soup and Easter ‘mayirítsa’. to name but a few. It is notoriously unstable and if rushed or overheated will curdle. There a few tips to bear in mind that help to stop that happening. Add the lemon juice to the eggs slowly, and beat it continuously with a whisk. When adding the hot cooking liquid, make sure it is not boiling hot. Add the hot liquid very gradually and incorporate each spoonful with a whisk before adding another. Don’t do the whisking of eggs, lemon juice and cooking liquid in a small bowl. You need to add as much of the cooking liquid as possible to the egg/lemon emulsion before returning it to the cooking pot. When you return the emulsion to the pot make sure you have the heat source switched off. If it does need reheating do it very gently. A very fatty/oily sauce will curdle and separate more easily. If possible skim off any excess of fat before adding the egg and lemon – this is very important when making the Easter, ‘Mayiritsa’ soup. Thickening the cooking liquid with a bit of diluted corn flour BEFORE making the avgolémono does stabilise it a bit.